Downtown Cincinnati’s Central Business District (CBD) is headquarters to seven Fortune 500 companies and home to more than 18 million SF of office space and about 61,000 full-time employees. It is also the site of world class arts, entertainment and shopping including the 21c Museum Hotel, Aronoff Center for the Arts, Lois & Richard Rosenthal Center for Contemporary Art, National Underground Railroad Freedom Center, Taft Museum of Art, Saks Fifth Avenue, Tiffany’s, Macy’s and of course the center of it all, Fountain Square. 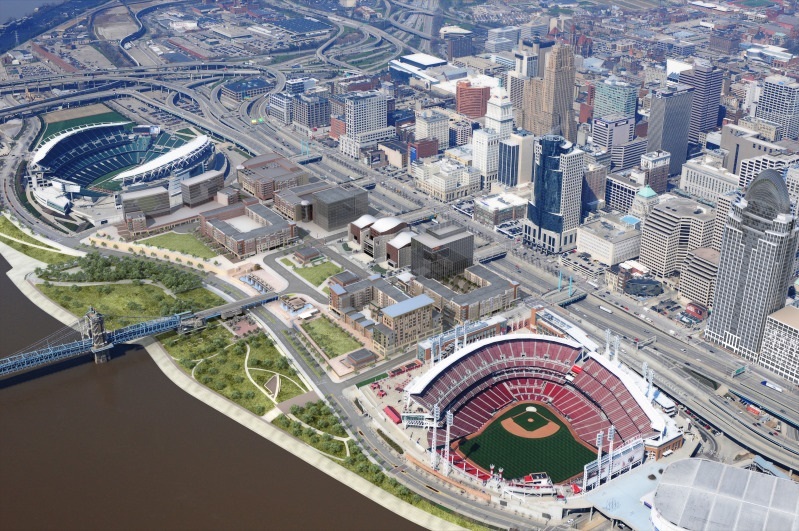 It is also adjacent to the city’s major league sports stadiums, home to the Cincinnati Reds and Bengals. 3CDC’s redevelopment work in the CBD is currently focused on the 6th and Walnut arts and entertainment district, and the site at 5th & Race Streets which recently became home to a 280,000 SF headquarters for 84.51°, a 1,000 space public parking garage, and 29,000 SF of street-level commercial space.